Let’s talk about Tesla. The forward-thinking electric vehicle manufacturer has been in the headlines a lot of late. The Model S and Model X continue to offer potent, plush and practical EVs at the premium end of the market, but you’ll be lucky to get either one for less than £1,000 a month. The long-awaited arrival of the Model 3 will bring affordability to the range. The Model Y is on the way, too, although it’ll be a year or two before that hits European markets. In fact, despite Tesla being at the forefront of people’s minds when they think of EVs, in terms of accessibility, at least, other manufacturers are starting to fill the void that has existed between Tesla and internal combustion power over the last few years. 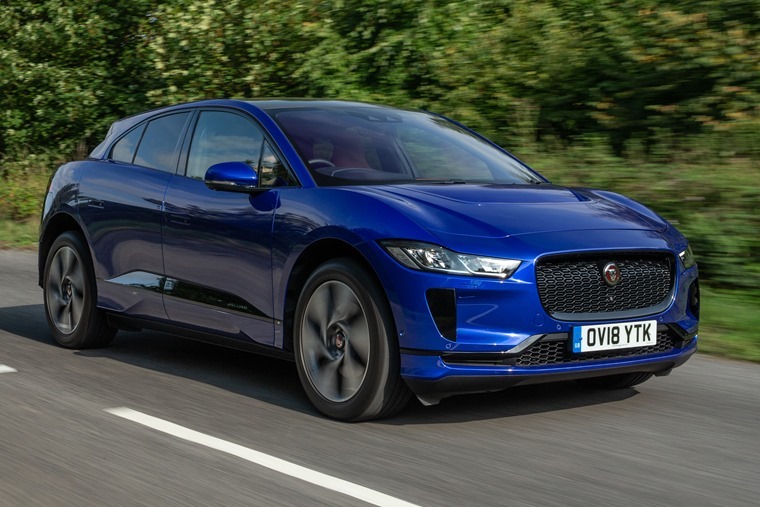 The stunning Jaguar I-Pace is now officially available to order. In both size and cache, it’s a credible rival to the Model X. Offering stand-out style, enough power to worry most things with a petrol engine and up to 298 miles of range, if this is what the future looks like for Jaguar, then we’re big fans. The I-Pace successfully offers drivers an engaging driving experience rather than the ridiculously quick, but rather digital feel that most EVs offer. This is thanks to its low centre of gravity – it feels much sportier than the company’s combustion-powered F-Pace. It’s practical too – an airy cabin and 577 litres of boot space will make it a tempting family car proposition. What makes it even more appealing is that you can lease one for less than £600 per month – that significantly undercuts the pricy Model X and, for the moment at least, it’s the more exclusive car, too. Think an EV must equal expensive? 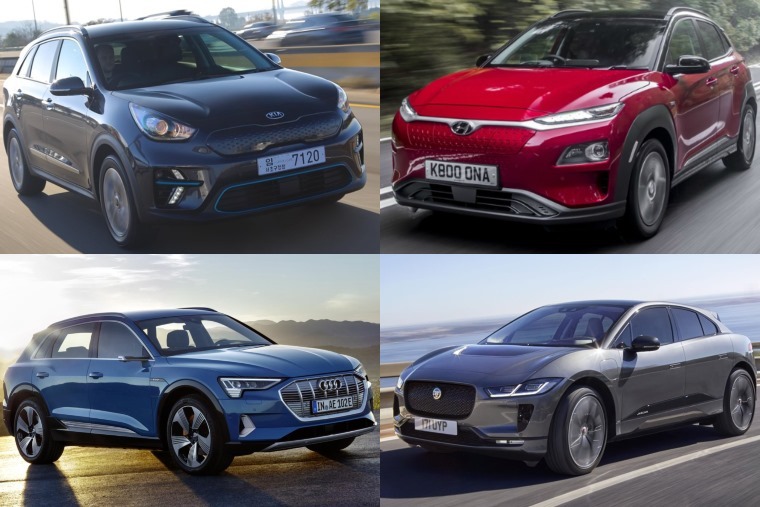 Well, there’s a host of new-gen models hitting the market that prove that doesn’t always have to be the case? 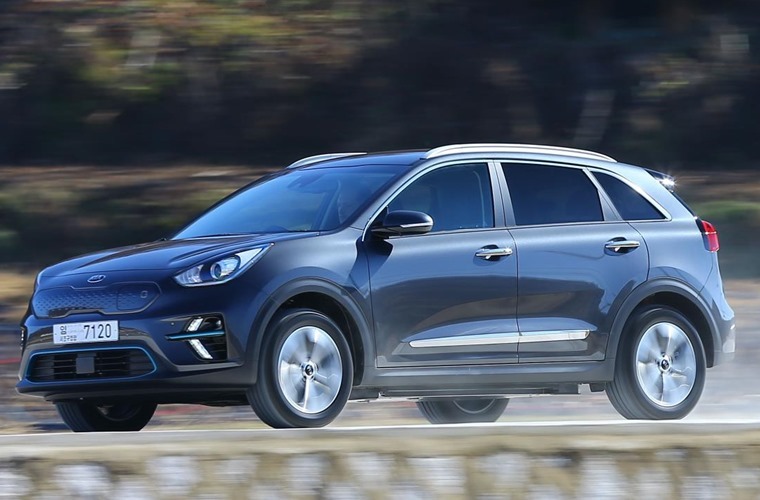 Remember the Niro hybrid? Well, it’s now available in full electric form. It costs from around the same as a Nissan Leaf, but benefits from a bigger battery that’ll eke out a range close to 300 miles. That makes it a cost-effective EV that proves that range anxiety needn’t be a major worry. Plugged into a rapid charger that you’ll find at motorway service stations and the like, and you can expect a range of more than 100 miles in just 45 minutes. While its styling isn’t exactly revolutionary, it stands out from the standard Niro hybrid thanks to a sleek new front panel that replaces the grille. There’s also some different lights and unique alloys to help it stand out from the crowd. It’s not just the drivetrain that’s cutting edge either; it’s available with adaptive cruise control and wireless charging, while an 8in infotainment system comes as standard and is Android Auto- and Apple CarPlay-friendly. 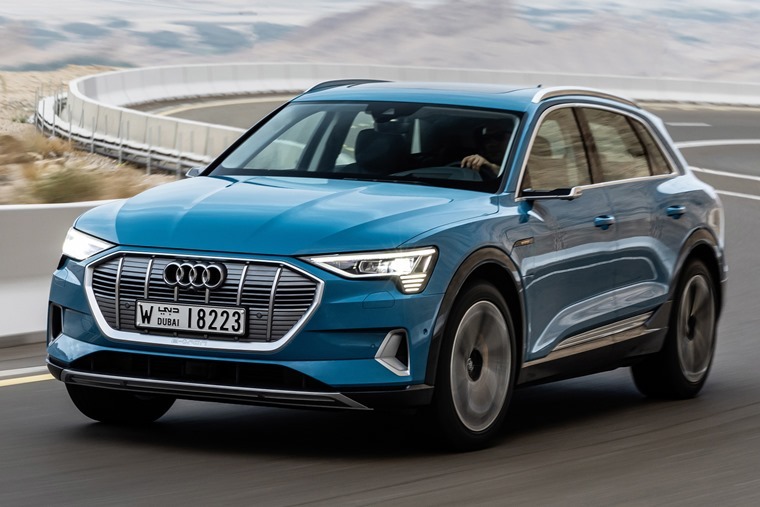 Another alternative to the premium Model S and Model X lines is the all-new Audi e-tron. Unlike the Teslas and Jaguar I-Pace, however, it gets much more sedate styling that, until you get up close, will have people mistaking it for a Q7. Whether that’s a good or bad thing will depend on your own thoughts on the styling of electric cars, but it’s fair to say there’ll be lots of people who would rather blend in than stand out. Inside, things are typically Audi: that’s to say class-leading quality. The optional door cameras are an interesting option – they replace door mirrors to reduce drag. This helps boost range which, per official stats, is 248 miles. 0-62mph takes just 5.7 seconds and you get a (limited) top speed of 124mph. With a maximum charge rate of 150Kw, it takes just 30 minutes to achieve an 80% charge – that’s comparable to the charge rate currently on offer via Tesla’s Supercharger network. Read more: How much does cold weather reduce an EV’s range? If you really want to fly under the radar in an EV, then Volkswagen has the answer. This is the e-Golf. Externally, it looks like any other derivative aside from a few badges and, from a size and pricing perspective, this is a car that’ll be looking to take on the Model 3. Ok, we’ll have to wait for VW’s I.D. 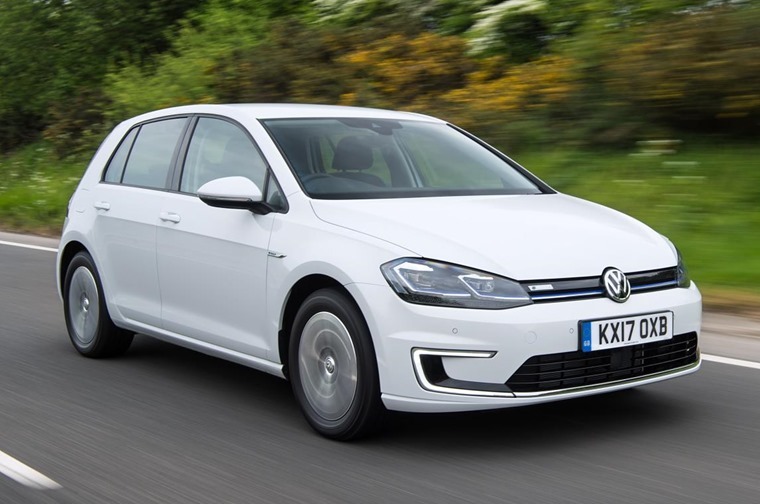 to launch before the company can offer the same sort of kerb appeal as Tesla, but the e-Golf more than makes up for its anonymous style thanks to its build quality. Range isn’t quite as impressive as the Tesla, with an official range of just 186 miles according to WLTP-correlated figures. However, that’s still more than most people need on a day-to-day basis and should keep that dreaded range anxiety at bay. 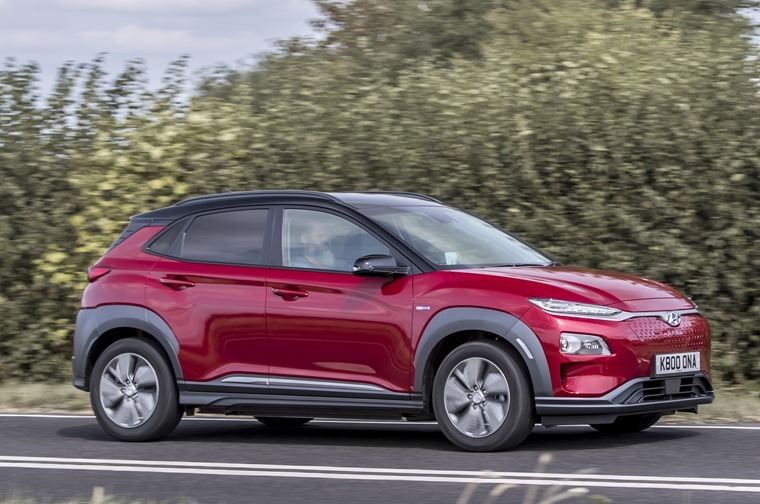 A close relative of the Kia e-Niro, this is Hyundai’s latest offensive for the plug-in market, the other being its Prius-rivalling Ioniq hatchback. We actually lived with one for a week to prove that using an EV on a day-to-day basis was more than doable. It’s available with the same 64kW battery as the Kia, which allows for a range of up to 279 miles. However, a more affordable model featuring a 39kW battery is also available – making it one of the most affordable EVs currently on offer. That said, range does drop to 179 miles, so it can’t exactly rival a Tesla on that front. It is, however, around a quarter of the monthly price of a Model S, and it’s pretty same to assume it’ll undercut the Model 3’s monthly rates when that arrives, too.